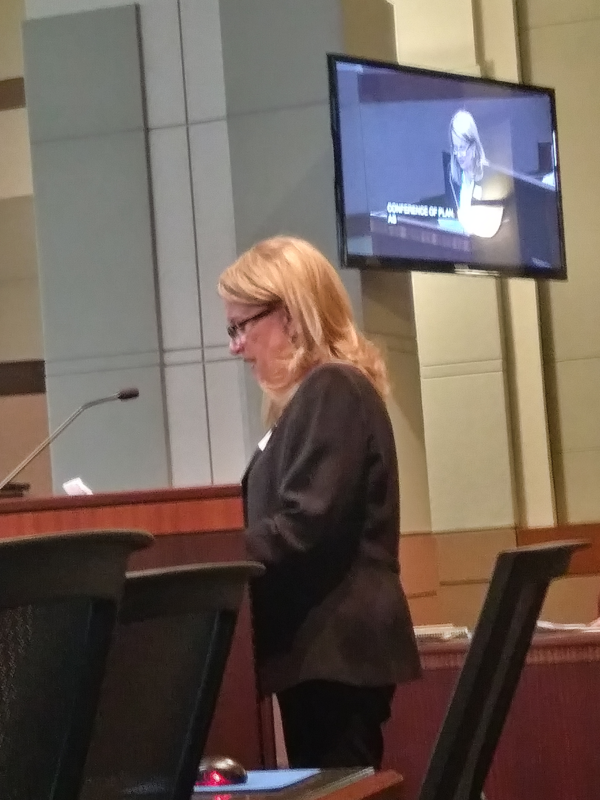 Several DAAR members helped encourage the Loudoun County Board of Supervisors to approve a Comprehensive Plan that would increase housing availability and help continue providing vibrant communities in Loudoun County. Members gathered at the Board’s March 21st Business Meeting where Supervisors were presented with the County’s Loudoun 2040 Comprehensive Plan for review. “We strongly believe that everyone should have a home to go to in the evening,” said Stakem. “We believe it is right and fair.” April is Fair Housing Month and the Board of Supervisors has scheduled several public hearings and workshops during the month of April. Supervisors have an opportunity to honor Fair Housing Month by supporting increased residential development, varied in type and price, and available for both rental and homeownership. Loudoun 2040 includes goals and strategies designed to provide a diverse housing stock to meet changing needs. The Plan also includes increased density in the Suburban Policy Area and creates a new Urban Policy Area. These areas are intended to accommodate a large share of the housing needed in the County. “Not everyone will want to live in an apartment or condo near the metro,” said Henriksen. “As our resident’s needs change and their families grow, they will want to live in larger homes.” The Transition Policy Area is identified as an area that can accommodate and address the need for single-family housing. Click to read and download the DAAR Statement. Click below to view videos of DAAR speakers,Phyllis Stakem, Lars Henriksen, and Dale Myers at the March 21, 2019, Business Meeting of the Board of Supervisors. Click below to view the presentations by Phyllis Stakem and Lars Henriksen. Click below to view the presentation by Dale Myers.